Webster defines a play date as~an arranged appointment for children to get together for a few hours to play. While this is true, we wanted more…. Since every play date is a party!!!! The Savvy Moms play date is one that is creative, interactive, educational, fun, healthy and delicious, all at the same time. 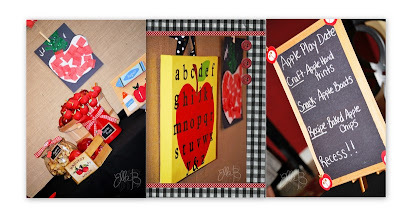 With Back to School (or rather our kids 1st day of school) on our minds Apples were the perfect theme. We narrowed down the craft, the recipe, and a great story and were ready to add the Sass. 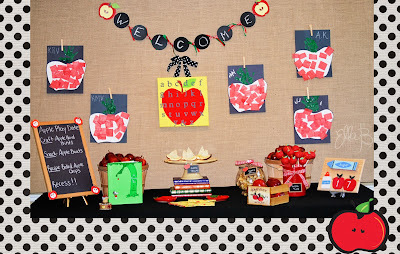 With dessert tables all the rage these days (at least in our own little blogging world) we thought it would be perfect to have a table centered around our play date. A table that would mimic the Desserts of Amy Atlas, and the classy stylings of Martha Stewart; but all with our own Savvy Selections. These Savvy selections included a perfect canvas from Lucky Girl, Edible Creations from Kolby Kakes and adorable attire from Sweet Things. And of course capturing the details of our day; Ella B Photography. Class....please be seated for your lesson on our First Savvy Moms Play Date!!!! Class is in session!!!! Let’s begin with art…a subject every child (and adult) loves. Especially when allowed to paint on one’s body without getting in trouble. 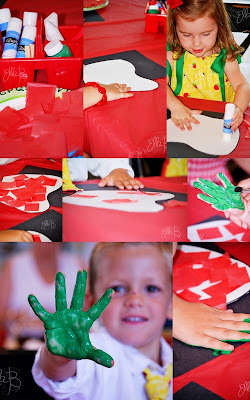 Apple Hand Prints are an easy and fun way to capture the memory of your little ones hand print while allowing them to get a little messy. 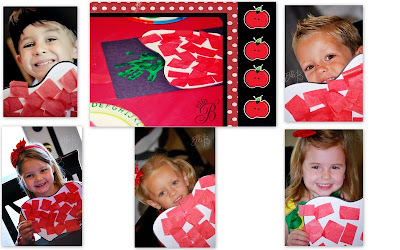 Apple Template printed on cardstock . We cut off the stem. Step 1. Slice your apples. Then notch out the center of each slice using a paring knife or peeler. Step 2. Puncture a medium size lemon with a hole and place in the microwave for 45 seconds to juice it. Then baste the juice onto the apple slices. This will keep the apples from turning brown. Step 3. Slice your cheese into triangular pieces. Step 4. Allow your child to assemble the boat, sticking the toothpick through the cheese and into the apple. Be prepared you might have some samplers of the cheese or apple before the project is complete. 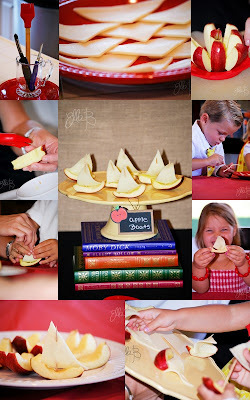 This activity/recipe was a great way to let our kids be hands on, to take an EveryDay edible object and create a fun and flavorful treat. 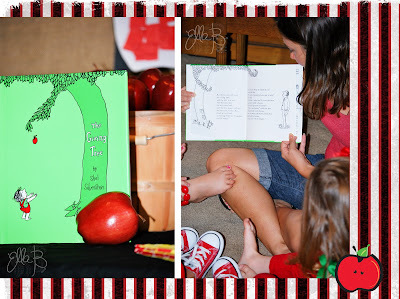 While the kids enjoyed their apple boats we thought it best to read a Book. And what better selection than The Giving Tree by Shel Silverstein. A classic story on the importance and reward of giving. Both of which are qualities we are instilling in our children. 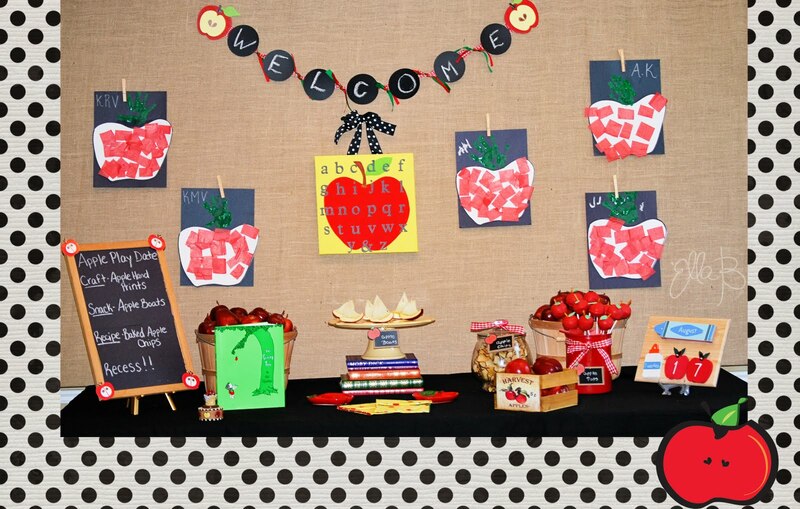 While we hoped that the days activities would be remembered....and that our monkeys would take away the educational and moral aspects of the play date, we were not at all surprised to find that in the end, the most memorable part of the day was the delicious Apple Pops created by Kolby Kakes. 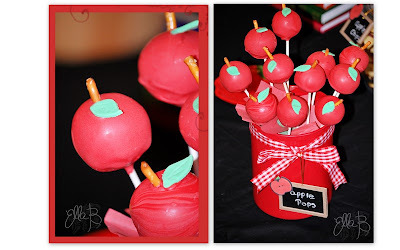 These ultimate cake pops were really the Apple of our Kids Eyes. Such a great playdate. The kids had a blast! And the Apple Cake Pops were amazing (AddyLiv's favorite part)!!! Great post. I used to be checking continuously this weblog and I’m inspired!Very helpful information particularly the ultimate part :) !